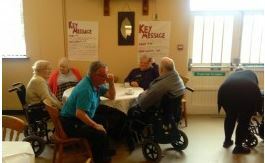 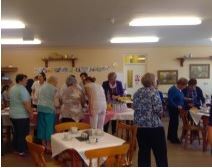 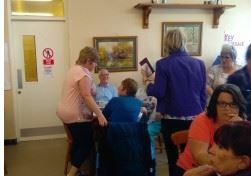 Once a fortnight, Service Users in St. Cronan’s use their community integration activity to meet with the Kennedy Park Residents Association for tea/ coffee and a scone at Lou Ryans’. 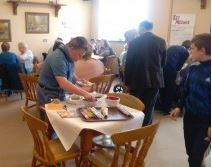 Today, as part of their Independent Living Skills activity they invited the residents into their service to display their culinary and serving skills. 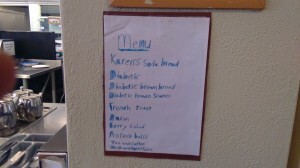 They devised the menu and with assistance prepared the food. 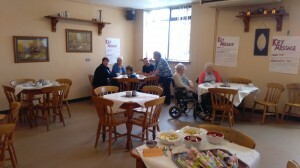 Everyone came. 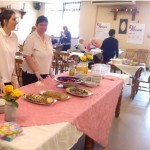 It was self service and service with a smile!